Tameka Norris a.k.a. Meka Jean’s most recent paintings and video-monologues are currently on display at Lombard Freid Gallery. 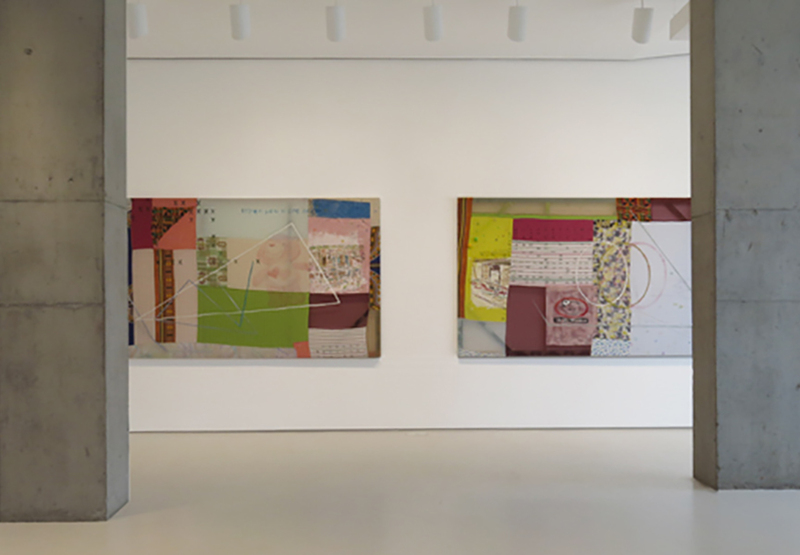 This is the first solo show in New York by New Orleans-based artist and presents a range of work from Norris’s multitalented artistic practice. The exhibition is titled Too Good For You and runs until April 19. Recently, Norris has been closely identified with her notorious performance shown at Performa 13 and as part of the Radical Presence exhibition at The Studio Museum of Harlem, where she cut her tongue with a knife and dragged her mouth along the wall, creating a paint-like smear. Through her work in performance, video, photography, and installation, Tameka Norris addresses all the important social and political questions concerning history, identity, education, and culture. Her versatile art is rooted in hip-hop and pop culture, art history, and the regional iconography of the American South. Norris criticizes increased pressure of superstardom in today’s art world, addresses the contradictions of contemporary arts education and the expectations produced by the history of identity politics. She also points to the invisibility of blackness in cultural forms, in other words, Norris forces a critique about the non-presence of the black body in the history of painting. Too Good For You show is imbued with autobiography. Norris’s paintings and video works explores her deep and personal relationship to the post-Katrina landscape of New Orleans and the houses and neighborhoods of her childhood. 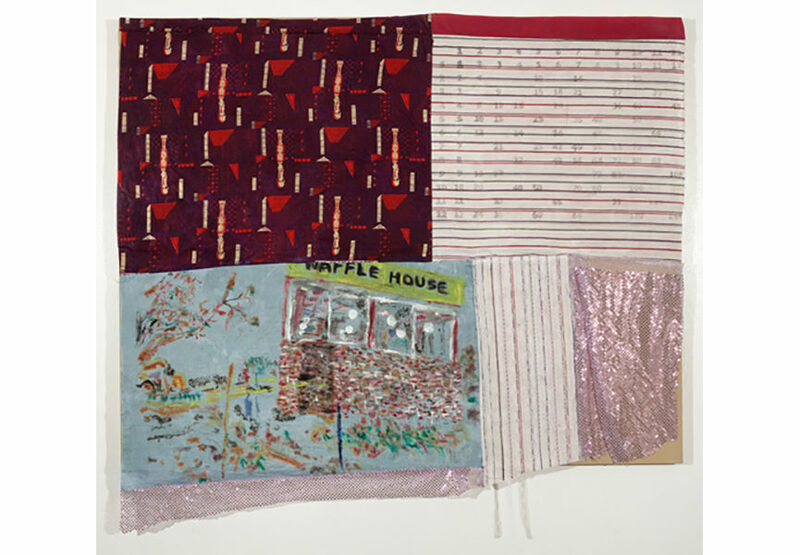 Norris’s Post-Katrina works are physical and painterly, created as patchworks of fabrics and images that grapple at reconstructing memories of the ravaged areas of New Orleans, Biloxi, and Gulfport, regions now in the midst of rapid gentrification. I wanted to remember and remap those places so that they do not disappear, says Norris. 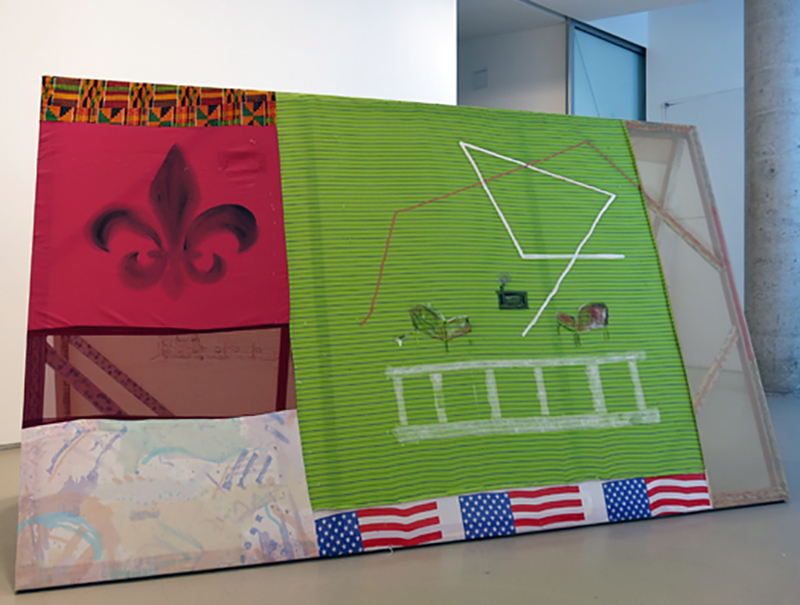 Painting on stitched fabrics—combining West African block prints, bed sheets, a Care Bear, the Piggly Wiggly supermarket mascot, the American flag—Norris stretches and drapes these varied textiles over exposed wooden stretchers to form structures that in turn reveal and disguise their construction. 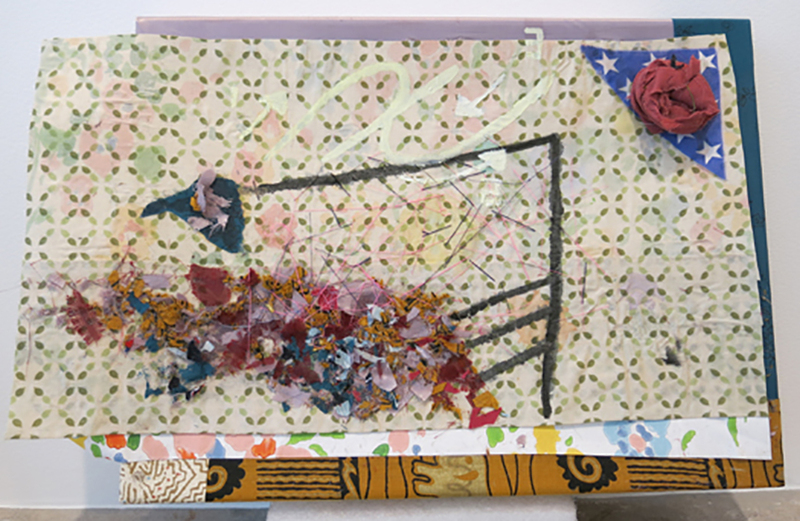 As New Orleans changes and as buildings are torn down and reconstructed, Norris’s references no longer exist, forcing her to draw on her memory, creating a more autobiographical reflection. 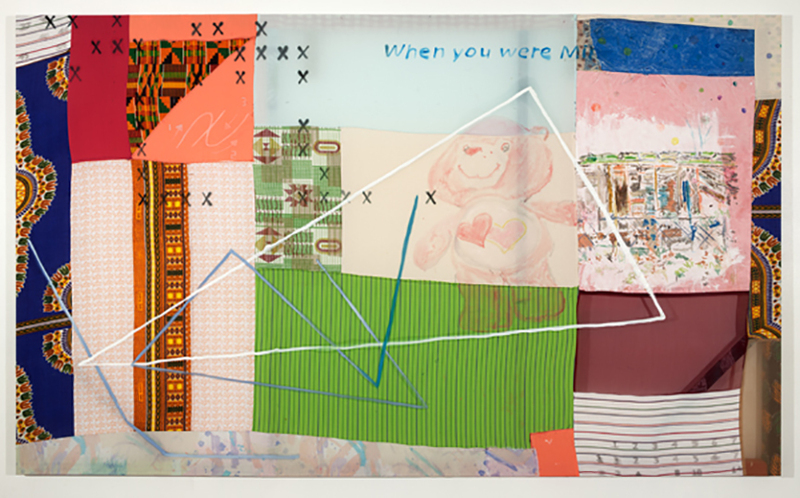 Tameka Norris received her undergraduate degree at the University of California, Los Angeles before graduating with an MFA from Yale University School of Art in 2012. In 2013, her work was the subject of a solo exhibition at Contemporary Art Center, New Orleans: Tameka Norris – Family Values. The artist has participated in numerous important group exhibitions including Radical Presence, Contemporary Art Museum, Houston (2012); Gifted and Talented, Third Streaming Gallery, New York (2012); Prospect.2 Biennial, New Orleans (2011); QueerSexing, Human Resources, Los Angeles (2011); Prospect.1.5 Biennial, Good Children Gallery, New Orleans (2010). 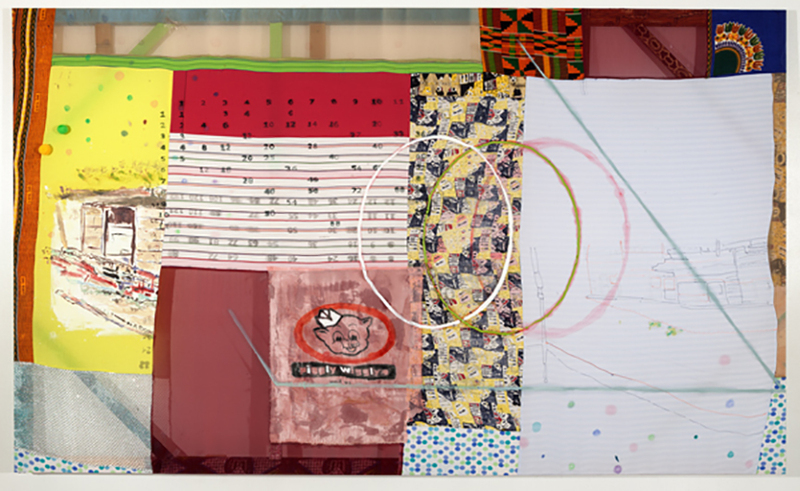 Norris was listed as one of “24 Artists to Watch in 2013” by Modern Painters Magazine and included in New American Painting Magazine’s MFA Annual in 2012.